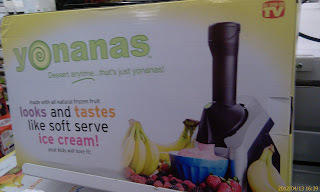 You add frozen fruit into the machine and out comes a fruit sorbet that looks like soft serve ice cream. I think this is neat because I always have leftover fruit and this would be a new way to eat it! Custom vegetable platter with watermelon carvings and fruit "swimming pool"